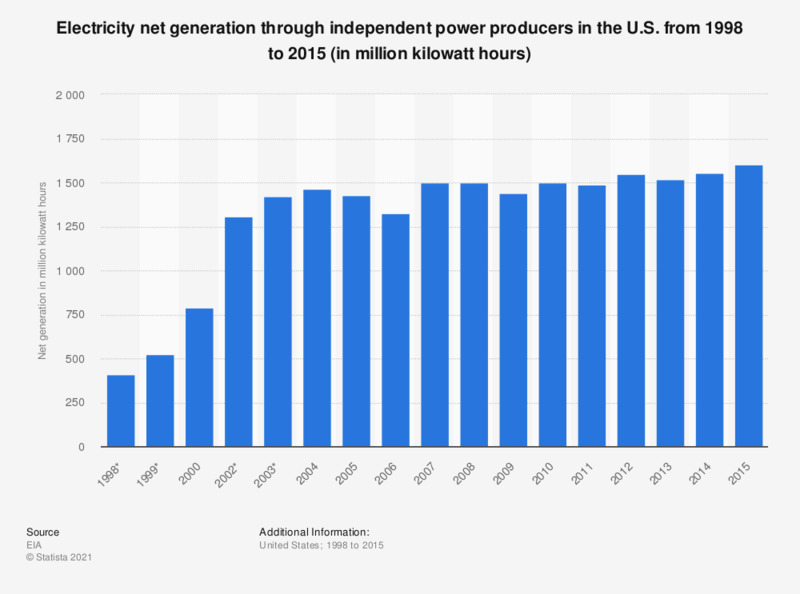 The statistic shows the electricity generated by independent power producers in the U.S. from 1998 to 2015. In 2015, IPPs in the U.S. generated approximately 1.6 billion kilowatt hours of electricity. * These figures were taken from a previous edition of the publication.